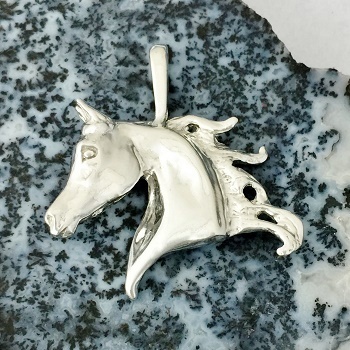 Lovely and solid Arabian horse head pendant in Sterling Silver. This piece is 3 dimensional and has lots of action, perfect for an Arabian Horse Lover. Also available in 14kt Yellow and White Gold.